Bay City Marine Limited is family owned and operated serving customers from all over southern Ontario at our location on Hamilton mountain since 1968. Bill started out by selling and servicing Johnson outboards and Peterborough boats but as the business grew Lawn Boy, Snow Cruiser, Larson, Lund, Princecraft and other product lines were added. As an authorized multi-line marine dealership we are able to provide our clients with the perfect boat, motor and trailer combination for their situation. 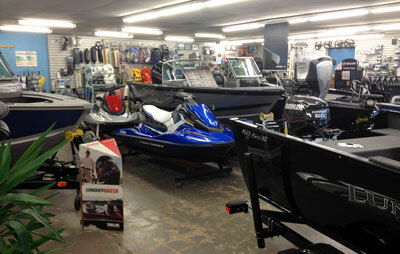 Our specialty is outboard fishing boats from 10' to 25' and we service what we sell. We operate on the principles of honesty, solid ethics and hard work. Whether it is a new boat purchase or maintenance for your existing boat, the experienced staff at Bay City Marine is committed to your satisfaction. Our new and used inventory changes all the time so bookmark our website and check back often or drop by the showroom. Copyright © 2019 Bay City Marine Limited. All rights reserved.